Eric Sorenson brings 17 years of on air experience to the mornings at WQAD. He received two Silver Dome Awards by the Illinois Broadcasters Association for excellence in weather coverage and breaking news. Sorenson is happy teaching youngsters about severe weather, as he has spoken to more than 15,000 students in his career. After receiving his B.S. in Meteorology from Northern Illinois University, Sorenson chased tornadoes and hurricanes while working as the Chief Meteorologist at KTRE in Lufkin, Texas, and as the Morning Meteorologist at KLTV in Tyler, Texas. Can We Connect Extreme Flooding to Climate Change? 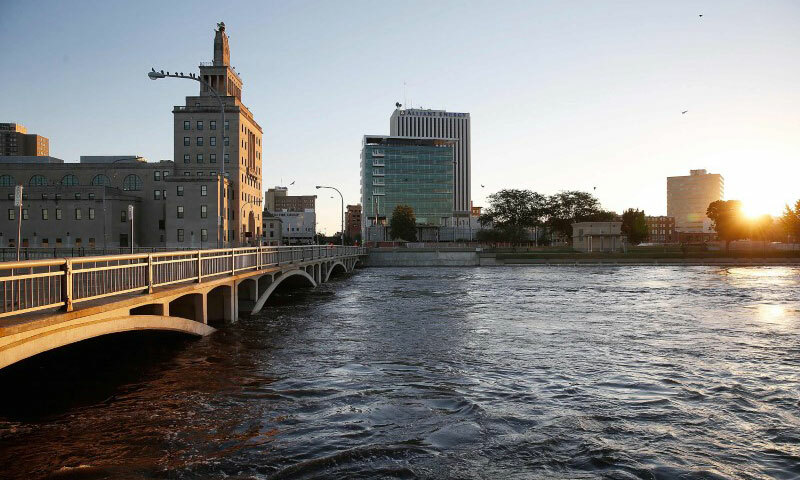 I was in downtown Cedar Rapids on Tuesday to witness the city's second-largest crest of the Cedar River in recorded history. Pretty amazing since a "thousand year" flood inundated a majority of this city of 130,000 people only eight years ago. But back then there was little/no mitigation effort. According to ABC News, $10 billion damage occurred.